For the past couple years the Yotaphone has claimed the distinction of being the one-and-only dual-screen smartphone but soon it will have to give up that title. 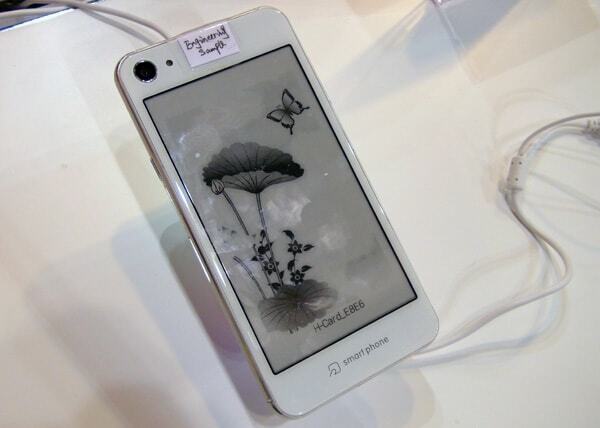 The Chinese OEM Huateng is now showing off the Flag D1, a smartphone that marries a 5" LCD screen to a 4.7" E-ink screen. Looking like a cross of the Yotaphone 2 and the iPhone 6, the Flag D1 runs Android 5.0 Lollipop on a 1.7GHz 8-core Mediatek MT6752. It also packs in a 700MHz Mali 760 GPU, 2GB RAM, and 16GB internal storage. That is not quite as flashy of a CPU, but judging by the other specs I'd say the Flag D1 is aimed at the same market segment as the Yotaphone 2. The D1 has many of the same sensors and connectivity, including a g-sensor, light sensor, GPS, Wifi, Bluetooth, 2G/3G/LTE, etc. The D1 also comes with a pair of cameras (13MP and 5MP). And then there are the screens. On the front, the D1 has a 5" IPS display with a screen resolution of 1,920 x 1,080. On the rear you will find a 4.7" E-ink display (960 x 540). Both screens have capacitive touchscreens, with the IPS display boasting a capacitive multi-touch. Those are essentially the same screens as on the Yotaphone 2, although the D1 is missing the protective layer of Gorilla Glass found on the Yotaphone. The D1 wieghs 150 grams, measures 8.8mm thick, and packs in a 2Ah battery. Unfortunately, I cannot tell you when it is going to ship. 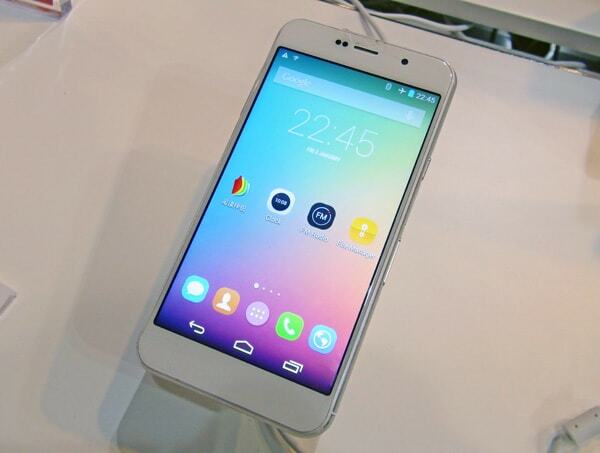 The Flag D1 is a very, very new smartphone; it only just made its first appearance at a Hong Kong trade show where Notebook Italia shot this video. The video doesn't actually tell us much, sadly. For example, there's no way for us to tell if Huatang has invested as much in developing software for the D1 as Yota Devices invested in the Yotaphone. I know that the product page mentions some nifty features, but I would like to see the software in action. Given its newness, the D1 might not ship until next year. I would like to see this concept in tablets soon. Yotaphone 1 is selling for less than $100 in India. It is a nice concept, but buyers are saying that they face many problems in actual use. I don’t know if this new company will be able to provide better software experience..